I have finally started reading IQ: How Psychology Hijacked Intelligence by Stephen Murdoch. Yes, my brother wrote this book and yes, I have guilt that I haven't read it yet (it was published in 2007!). Here are the the US (left) and UK (right) covers; I am reading the UK version. Notice they have different subtitles as well. "When I was in the sixth grade, I went to my local public junior high in Santa Barbara, California, where I grew up, to take an IQ test to see whether I would be admitted to the Gifted and Talented Education program. My mother dropped me off, and I walked with trepidation to a man with a large drooping mustache in a little office who asked me a series of very strange questions." I'm looking forward to seeing what you have to say about his book. 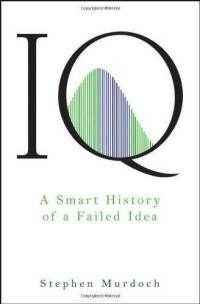 I've always wanted to get an IQ test done, and have had informal tests but never an official one. I think everyone has that curiosity of wanting to know how "smart" they are. And one thing I've realized over the years is that intelligence is only one of many aspects of a person that can make them successful. I like this nice, narrative, interest-inducing beginning. 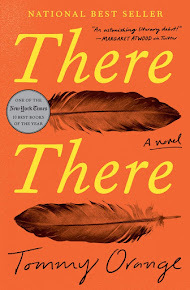 I have a prejudice that nonfiction tends to be dry but there's so much good nonfiction out there, too; I couldn't count how many I've loved in the last year. And today, I see Katy's book beginnings post (at the host blog) is another nonfiction with a strong beginning; as is mine! Happy Friday! This one sounds very fascinating. And I agree that test results can be misused...and sometimes "knowing" the results can close off certain possibilities, while "not knowing" keeps the potential alive. I like the UK book cover too. How wonderful your brother wrote a book. Although I guess IQ tests are a necessary thing, I'm not sure they are really good. They don't take into account all you've learned in life. Have a great day! Wow! I didn't know your brother wrote a book! This is so wonderful! I can't wait to check this out! Great intriguing quote! 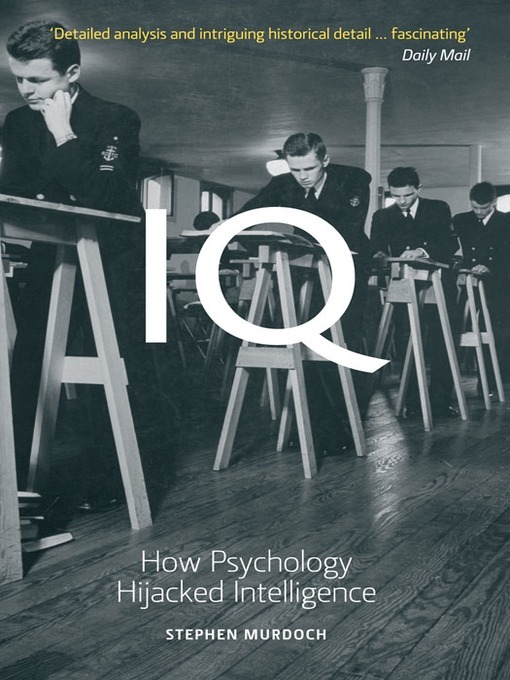 I had IQ tests in school, back in the 1940s (elementary school) and 1950s (junior high and high school). They didn't tell us how we scored, but supposedly they would have to tell me now that I'm an adult -- if they still have the scores from that far back (which seems unlikely). On the other hand, taking a test for Mensa will do the same thing. And I know that making certain scores on the MRE (which I took) indicate whether you are Mensa material or not. 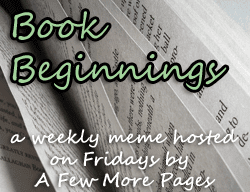 Thanks for participating in Book Beginnings! I'm looking forward to seeing your thoughts on it after you are finished. Katy--I just finished my review of the book!